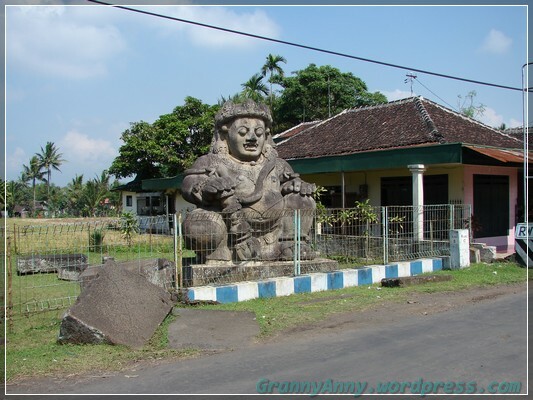 So after we visited the Bath, we drove back to the main road, and off to another secondary road in Singosari. 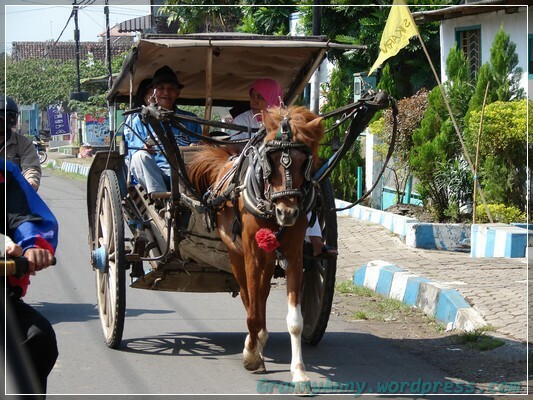 On our way to find the Arca Dwarapala, we encountered a fully occupied Dokar, a horse drawn carriage. The driver even smiled at us when we took his picture from the car. Then in about five minutes car ride, we saw these massive, impressive two gate keepers from the past. The Arca Dwarapala. 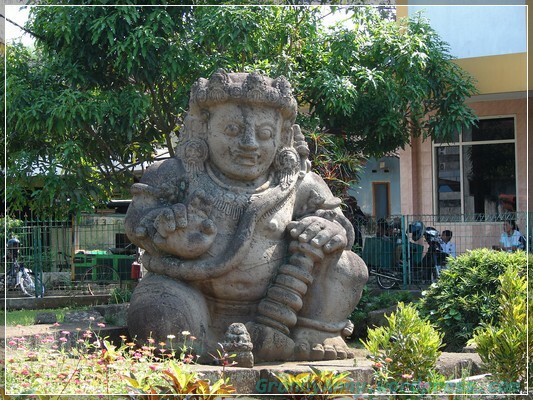 Arca means statue and Dwarapala (Sanskrit) means gate keeper. 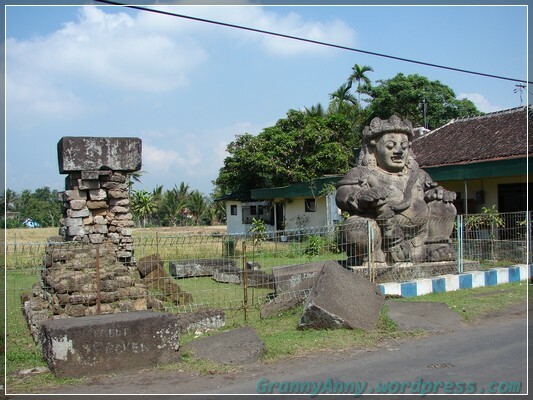 It was said that these two statues guarded the gates to the Singhasari Kingdom. The driver told us that at one point, one of the statues had sunk into the earth, and had to be dug up. From our observation, indeed, the land was somewhat slanted and the house nearby indicated some foundation settlement.